Steven L. Reynolds, 64, of Equality, Ill., passed away on Saturday, March 2, 2019 at the Memorial Hospital of Carbondale. He was born on June 10, 1954 in Eldorado, the eldest son of Robert Franklin and Carmen L. (Chapman) Reynolds. Steven worked for the Equality Township and the Bayer Farms for many years. He married the former Margaret Mary Liker and Margaret preceded him in death on March 11, 2015. Steven married Mary Jennings on February 6, 2019 who survives. 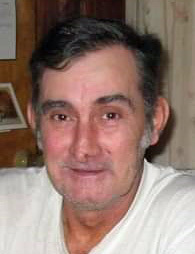 Also he is survived by his son, John Reynolds of Equality; one brother, Edward and Cindy Reynolds also of Equality; six step children, Richard Johnson, Joel Johnson, Treasa Jennings of Eldorado, Angel Wieland of Eldorado, James Ales of Equality, and Jeremy Jennings of Fairfield; and several grandchildren. He was preceded in death by his parents; wife, Margaret; one grandson, John Reynolds Jr. and step son, Robert Johnson. There will be a visitation for Steven on Tuesday, March 5th from 5 to 7 p.m. at the Vickery Funeral Chapel in Equality. As per his wishes he will be cremated and private internment will be at the Cottage Grove Cemetery near Eldorado. So sorry to hear about Steve. He was a good man. Your family is in my thoughts and prayers.